The recent primaries in the major political parties in the Northern part of the country have thrown up new challenges that pose a threat to the otherwise cohesive position of the All Progressive congress, APC and the People’s Democratic Party, PDP in the different states of the north west. Zamfara which had been the traditional stronghold of the opposition party since return to democracy in 1999, was expected to have a seamless transition from the incumbent governor to his successor. But that was not to be as various political gladiators are locked in a bitter contest in their quest to determine who succeeds the governor. President Buhari, others While the incumbent, Yari has an anointed successor in the person of his commissioner for finance, he is being fiercely opposed by a constellation of other forces, led by his deputy as well as the minister of defense, who believe that they ought to have a say in who takes over the government house in 2019. The impasse created by this disagreement is posing a real threat to the participation of the APC in the 2019 election. But while the Zamfara state challenge emanates from Who succeeds the governor in 2019, the challenge in Kaduna state is slightly different. It is senatorial contest for Kaduna Central that has proven problematic for the APC leadership in the state. Senator Shehu Sani, the loquacious senator representing Kaduna central had been locked in a war of words with the governor of the state, Nasir El Rufai in the last three years. But while his disagreement with El Rufai may be understandable, Shehu Sani neither spared the President nor the party that catapulted him to national political limelight in his criticisms although he was on point many times. He all but gave the impression that he was out of the APC. APC, INEC at war over primaries in Zamfara But when the time for the primaries came, in what is a classic case of what some party members said was reward for betrayal, the national leadership of the party in an explicable reason disqualified all contestants for the Kaduna Central seat except Shehu Sani. Since then, the APC in Kaduna state has not been the same. Unlike other states, the aftermath of senatorial primary elections in Jigawa state had the trappings of big boxing bout with contending political forces ready to prove their mettle in a contest that had the potentials of making or marring their political relevance in the state. .The contest is simply an extension of battle of supremacy between two leading gladiators in the state, the incumbent Governor, Badaru Abubakar and his predecessor, Sule Lamido Even though the newly established Social Democratic Party (SDP) has demonstrated that it is not a push over, it is more or less a party that hopes to benefit from the internal wranglings of APC and PDP in Jigawa, and not necessarily a party that has any ideological difference from the two leading parties. Although the primary elections, especially within the ruling APC have come and gone, the great chasm left behind has not shown any sign of being bridged. For instance, many aspirants who lost out in the primaries have accused the governor of leading them on into a contest that he knew he had preferred candidates. However, the aggrieved aspirants who had indicated their interest to vie for the seat of governorship and Senate and House of Representatives are having series of meetings, consulting friends and supporters of the possibility of quitting APC for SDP. With these development, the government has employed the services of an indigenous contractor to meet with the aggrieved aspirants to find ways of stopping them from moving out of the party to SDP or PDP. This, according to one of the aggrieved aspirants who spoke on conditions of anonymity, said it is too late for the government to confront them on this issue, saying government has already deceived them and they have resolved to leave the party, no going back. Jigawa PDP is equally facing similar challenges of alleged imposition of candidates during its primary elections. Pundits in the state have predicted that it may pave way for the opposition SDP to have some aggrieved members including one of the governorship aspirants in their camp. The two most aggrieved aspirants who participated in the gubernatorial primaries are Hashim Ubale Yusuf (APC) and Hon. Tijjani Ibarhim Kiyawa (PDP). They are said to be having meeting with SDP gubernatorial candidate, Hon. Bashir Adamu on the possibility of defecting. It was also learnt that some commissioners serving under governor Badaru‘s administration are making similar moves to join SDP ahead of 2019 for what they described as betrayal of trust. Those who contested the House of Representatives seats in APC and lost to government’s candidates include a onetime president of NUJ, Comrade Sani Zoro who is also serving member representing Gumel/Suletankarkar/Maigatari/Gagarawa federal constituency and Hon. Yahaya Mohd Bigman, a serving special adviser to the governor on political matters. Bigman lost to a 30 year old Personal Assistant to one of commissioners. This has also provoked supporters of the aspirants across the state, leading to destruction of governor Badaru‘s billboards. Unlike other states in the north, the recent primaries in Katsina state were not problem ridden. Although there were some level of contests, those who eventually emerged as winners in the primaries did not come to many political observers as a surprise. Kwankwanso vs Shekarau fixture not certain in Kano For instance, in the Katsina South contest, the APC flag bearer, Bello Mandiya, is the Chief of Staff to Governor Aminu Bello Masari who was was generally seen as the preferred candidate to win in the contest as he had the blessing, support and backing of his boss, Governor Masari and the incumbent, Senator Abu Ibrahim. In the PDP, the flag bearer, Shehu Inuwa Imam, is an ally of the late President , Umaru Musa Yar’Adua. With the demise of late Yar’Adua, he maintained a low profile politically without pledging any allegiance to the emerging political camps in the state. Although he left the PDP to APC at a point, his stint was very brief before returning to the PDP. He is seen as a serious challenger to the incumbent, Senator Abu Ibrahim, who is seen by many to have over stayed his welcome in the Senate. But more importantly, Again, the Katsina South senatorial district is known for supporting opposition party, ANPP, CPC and APC from time. Katsina North (Daura Zone) It is the same in the Katsina North senatorial district as they are known for supporting opposition party, ANPP, CPC and now ruling party, APC. Particularly, that the area is the senatorial district of President Muhammadu Buhari, it is a must win for the APC. Primary: PDP members kick over alleged imposition in North Central seat again the APC flag bearer, Senator Ahmed Babba Kaita is the incumbent. Before now he was member representing Kankia, Kusada, Ingawa federal constituency. He rose to the seat of Senate after emerging winner of the bye election conducted in the area recently to fill the vacant seat created by the death of Senator Mustapha Bukar. PDP flag bearer – Mani Nasarawa, is a one time member of House of reps. Contested for senatorial seat of the area but lost to late Senator Kanti Bello. 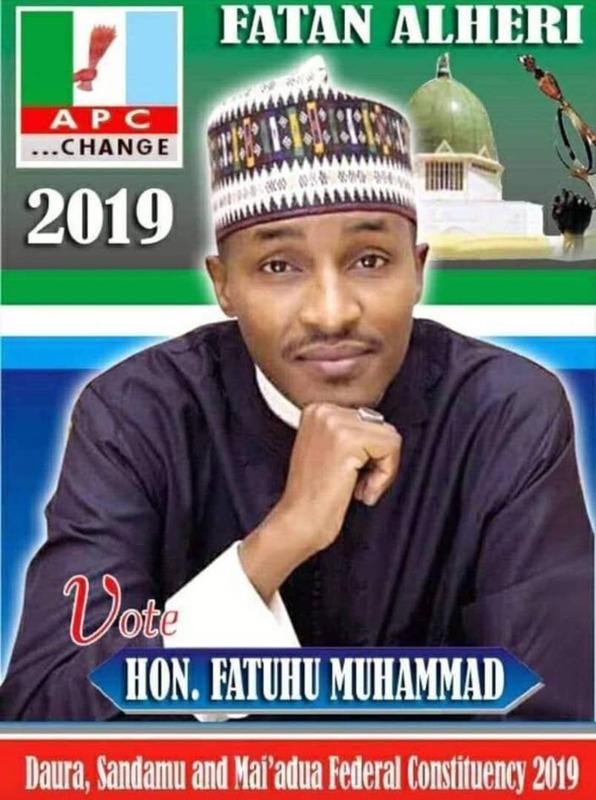 Katsina Central (Katsina Zone) APC flag bearer – Former Managing Director of the Federal Road Maintenance Agency (FERMA), Mr. Kabiru Abdullahi Barkiya, is an in-law to Dahiru Mangal. He aspired for the governorship on the ticket of the PDP in 2015 but lost out at the party primaries. PDP flag bearer is Hamisu Gambo Lawal, former Chairman of Katsina Local Government.